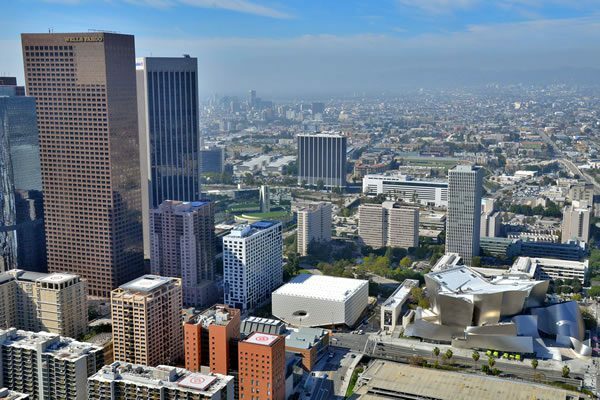 Eli and Edythe Broad’s foundation has been lending major artworks to major galleries and museums for the past 30 years, but now the philanthropists’ incredible collection has a permanent home of its own in Los Angeles. 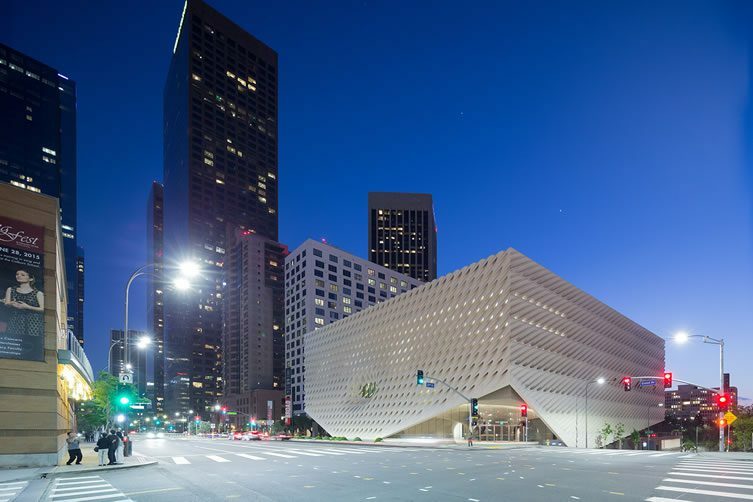 The Broad is a magnificent venue (as one would expect for $140 million), located appropriately enough on Grand Avenue, and designed by New York agency Diller Scofidio + Renfro in collaboration with Gensler. 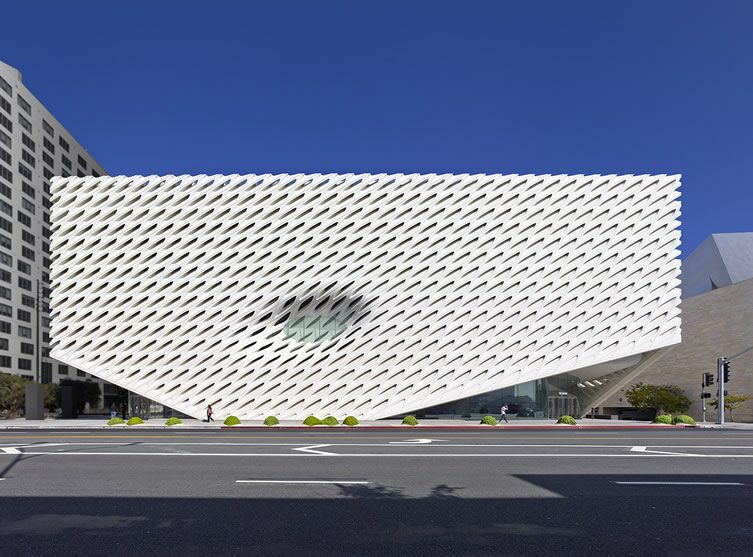 The collection itself is composed of around 2,000 post-war and contemporary works by some of the art world’s most important figures, and three-storey The Broad boasts two gallery floors totalling 50,000 sqft, as well as the Broad Foundation’s office headquarters. 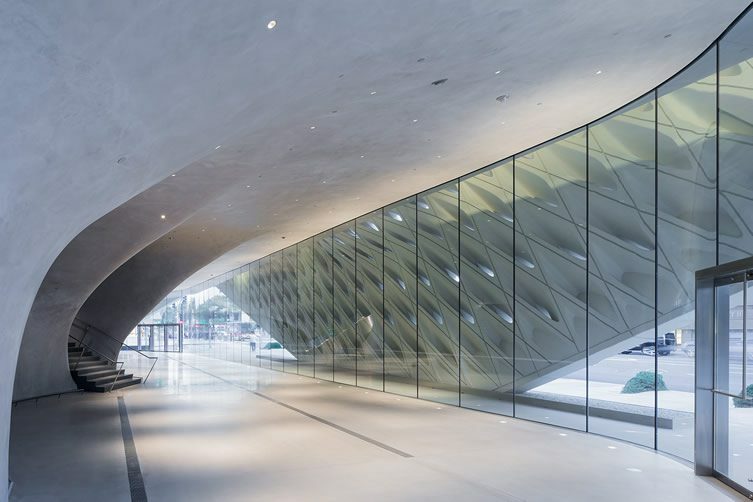 The inaugural exhibition occupies the new venue’s top level, which benefits from a column-free layout topped with a ceiling of 318 skylights. Curator and founding director Joanne Heyler has been busy rummaging in the archive and has selected more than 250 works by 60 of contemporary art luminaries including classic Pop art pieces by Andy Warhol and Roy Lichtenstein, a collection of Cy Twombly painting and sculpture, and work by Robert Rauschenburg, Jean-Michel Basquiat and Barbara Kruger among many others. 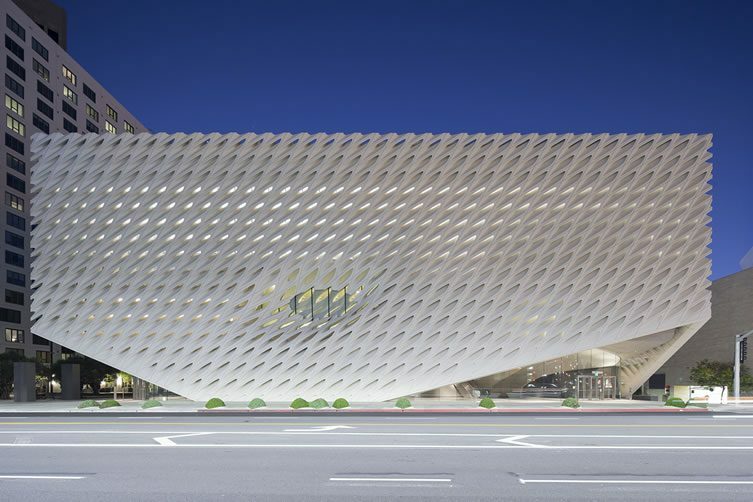 The exhibition also marks the debut of Yayoi Kusama’s new work Infinity Mirrored Room. 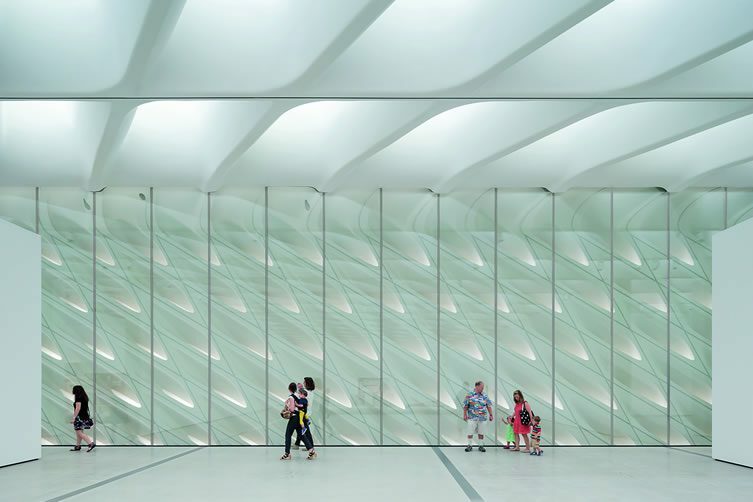 The Broad opens its doors to the public on 20 September with free general admission — although free tickets to the opening must be reserved.